Posted in Afghan Blanket, crochet, CrochetMoodBlanket2014, Free pattern	by Giulia P.
I know I have been a bad blogger and neglected you all for a long time, but life’s been hectic and complicated lately 🙂 Blogging more often was definitely one of my new year’s resolutions, so here I am! 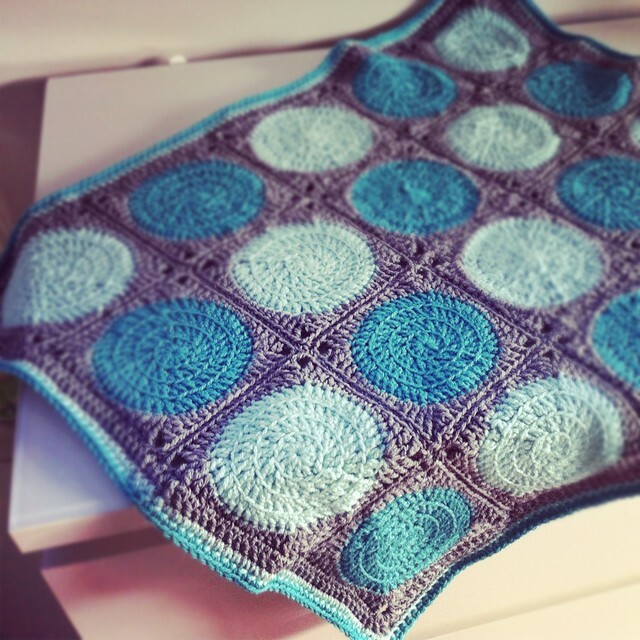 This year’s first post is dedicated to a crochet-a-long project called CrochetMoodBlanket2014… has anyone heard of it yet? or maybe is any of you participating? I’d love to know! The rules are pretty simple: you’re supposed to crochet a granny square a day (or hexagon, or whatever shape you like) for a whole year, picking colours/patterns according to your mood that day. As a variation, you can crochet a square a week. At the end of year 2014 you should end up with a blanket that represents your year in a nice and creative way, either made of 365 or 52 squares. How nice is that? The idea came from mummy_stacey on Instagram (check out her feed for more infos!) and thousands of people from all over the world have joined in less than a week. Picking a pattern, I must admit, was the hardest part! each time I would make my mind up about something, I’d see another pattern that looked more appealing! lol But in the end I have decided to go for something vintage looking, and – surprise – not as colourful as usual. I have been experimenting with colours and hook sizes because I needed to finish with a blanket of a decent size and with only 54 squares it is not to be taken for granted! As for colours… well, I haven’t bought any new yarn yet, but I’m surely going for neutral colours, maybe okra, orange and dark green, with a beige edging. 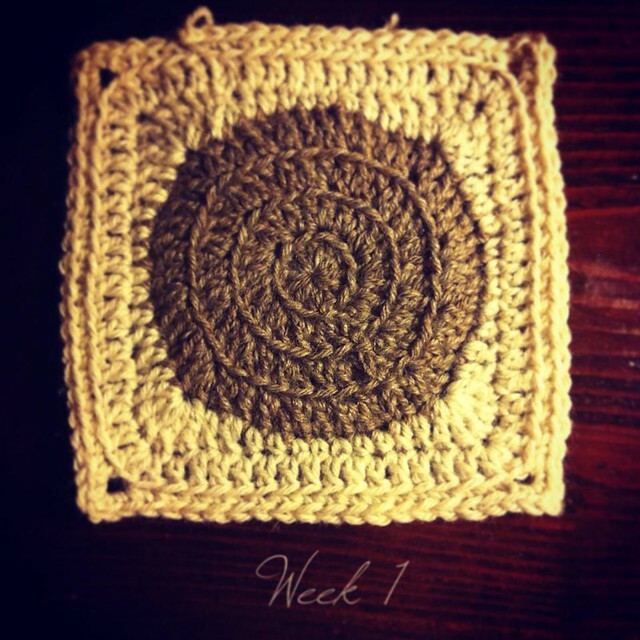 Here is my square for Week 1. I’m so so happy with it! When my fave yarn store re-opens on jan 7th I’m definitely going to get me all the yarn I need! I can’t wait, I hate being on a yarn diet. BTW, if someone else is participating and is a member of Instagram, feel free to friend me and I’ll friend you back! I’m sakuraxdreaming.